Tommy Wirkola's [Dead Snow] Hansel and Gretel: Witch Hunters is one of many fairy-tale action movie "re-envisionings" on the horizon. This one stars Jeremy Renner and Gemma Arterton as the fully grown adult siblings of the fairy tale who are now professional bounty hunters. The $60 million project will be shot in 3D and begins production next month eventually hitting theaters on March 2nd 2012. The details come via MovieHole. Hit the jump to check out the details. Hansel [Renner] and Gretel [Arterton] have grown up and become famous for being highly-effective at hunting down and killing witches in the years since their infamous incident at the gingerbread house. The two were permanently scarred by that event, seeing as that Gretel still suffers nightmares from the ordeal and Hansel is now diabetic [since the witch forced him to eat all the candy when he was a kid]. The town of Augsburg has a serious witch problem, what with numerous children having gone missing and the power-mad Sheriff Berringer [Peter Stormare] burning potentially innocent suspects at the stake left and right. So the town’s mayor recruits Hansel and Gretel to help out. Hansel and Gretel have their work cut out for them when they arrive in Augsburg. It seems that the rise of the “Blood Moon” marks a holy night for witches, and the siblings have two days before the vivacious sorceress Muriel [Famke Janssen, presumably] uses the occasion to sacrifice multiple children for her own benefit. 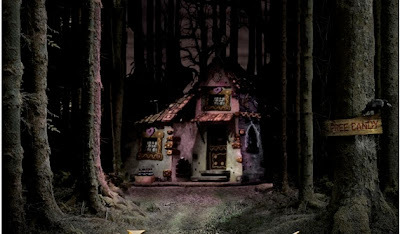 I'm reading: STORY DETAILS LEAK ON [HANSEL & GRETEL: WITCH HUNTERS]Tweet this!